If your swimming pool hasn’t got an autofill to keep the water topped up which many older homes in Henderson haven’t then i bet you’re tired of having to regularly remember to fill it, especially during those hot months with increased evaporation. Well, you don’t have to top it up any more if you add the PoolKeeper. 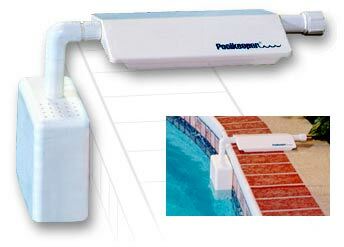 The PoolKeeper automatically maintains pool water at a preset level. Here’s the details on the product http://poolkeeper.com/ PoolStar can supply and install it for you as part of your pool service. The only other item you’ll need is a high grade regular garden hose which can be purchased from any home improvement store. Contact PoolStar for more info. This entry was tagged Swimming pool water. Bookmark the permalink.